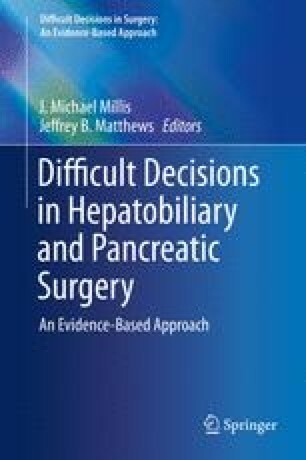 When Is Bile Duct Resection Indicated for Biliary Strictures in Primary Sclerosing Cholangitis? Primary sclerosing cholangitis (PSC) has a variable clinical course, but often becomes a progressive disease that leads to chronic cholestasis, cirrhosis and liver failure. In addition, PSC is the most common risk factor for cholangiocarcinoma in western countries. The etiology is unclear, and as a result there are no specific medical therapies that change long-term outcomes. Liver transplantation offers the only potentially curative therapy but it is usually reserved for patients with advanced stage or cirrhosis. Earlier stages require alternative invasive treatment modalities to manage symptoms and address dominant strictures, which can be benign or malignant. The distinction between these may be extremely challenging, and has an influence on the treatment options, which include endoscopic dilatation, stenting, or surgery, either biliary bypass or extrahepatic bile duct resection. Endoscopic therapy has less morbidity, but surgical treatment has the advantage of not leaving potentially malignant or dysplastic strictures in place and may be associated with longer survival. When cholangiocarcinoma develops, it tends to appear at an advanced stage and prognosis is poor.